Noah and I listen to some of our favorite songs and discuss what memories and emotions they evoke. We had a blast listing to and discussing these selections. We travelled through time and lived to tell you guys all about it. I hope you enjoy the journey! Originally from Detroit, Michigan, Noah Jackson is a bassist, ... See More cellist, and composer. 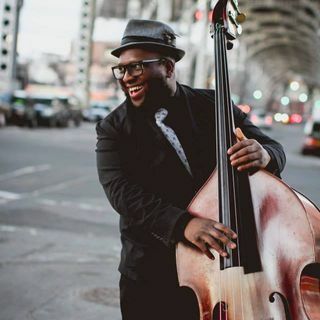 A graduate of Michigan State University under the tutelage of Rodney Whitaker, and Manhattan School of Music with Dr. Larry Ridley, he has become recognized as a up and coming bassist. Jackson has been performing with many top acts in most music venues in and around New York City and has traveled with world renowned artists such as Abdullah Ibrahim and Winard Harper. Jackson has performed in over 10 countries from South Africa, Qatar, to Nice, France and performed in many jazz festivals both domestically and internationally. As a bandleader, Jackson's group Full Circle has performed in many venues around New York City and Detroit to well received audiences. His group recorded an album in 2011 called "Contemplations: A Suite", which has garnered critical praise resulting in a Top 10 Album of 2011 by the Detroit MetroTimes and performing in the 2012 Detroit Jazz Festival. Jackson is currently residing in New York City.